First of all, we know that this hasn’t happened yet. The mention of the sun going down at noon and the earth being darkened in broad daylight hasn’t happened since the time Amos penned this – EXCEPT at the Crucifixion. But the crucifixion was on PASSOVER, not close to a new moon feast (Feast of Trumpets). Let’s examine the bolded parts of this passage! First Amos sees a basket of summer fruit. This suggests the timing to be at the end of Summer – at the Summer Harvest. Summer turns into fall at harvest time (Fall Equinox). Could there be correlation with the next Resurrection Harvest we are anticipating? The Fall equinox on September 22 coincides with the ENDING of the Feast of Trumpets this year. We see the End coming upon Israel. Is this a reference to the Time of Jacob’s Trouble – the Day of the Lord? We see God breaking His silence with Israel. This breaking of God’s silence has strong connections to the GOG MAGOG war of Ezekiel 38-39, when God intervenes to spare Israel from impending destruction. The Gog/Magog war, Psalm 83 war, and Isaiah 17 war might be interconnected. This sounds like the aftermath of a surprise attack or war (Gog/Magog? Psalm 83? Isaiah 17 – Damascus?). They are surprised in the midst of their singing in the temple. Tabernacles is the Fall Feast associated with celebration and rejoicing. We have all this occurring while merchants are whining about a NEW MOON. A new moon happens each month, but this must refer to a feast day since there is no buying and selling allowed. The only holy day on a new moon is the Feast of Trumpets. There is also reference to the Sabbath, which immediately follows the Feast of Trumpets this year. It seems the new moon and Sabbath occur back to back, as the merchants are eager to get back to selling fraudulently after two days of restricted activity. The land will TREMBLE, RISE, be TOSSED ABOUT and SINK AGAIN. This is definitely a great Earthquake…. could it be the one which is expected at Seal 6 and the Gog/Magog war? Could this be a reference to either or both these prophetic events? On that day (THAT DAY is often a reference to the Day of the Lord), the Lord will make the sun go down at noon and darken the earth in broad daylight. Remember at the crucifixion when the sun was darkened for 3 hours while Jesus died on the cross? Is something like that in view here, about to happen again? 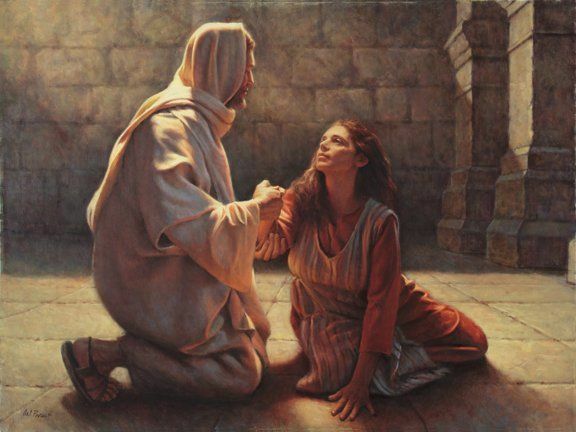 Once the High Priest had sprinkled the blood of the sacrifice on the Mercy Seat in the Holy of Holies, he then prayed for three solid hours in darkness asking forgiveness for the sins of Israel. By tradition, at the end of this period of 3 hours, the high priest stood up and said “It is Finished”. This, of course, reminds us of what Jesus uttered on the cross as He died. This will be uttered again when the 7th Trumpet blows during the Day of the Lord. (Source: Judy D Gassett). God is using the Gentiles to provoke Israel to jealousy, so they will return to Him (Romans 10:19). At the rapture event, which I believe releases all the Seals, the sky will be rolled back and those on earth (in Israel anyways), will see the Lamb and the Throne of God (seal 6). At this event, with their partial blindness lifted (Romans 11:25-26), Israel will mourn – like the mourning for an only son, in bitterness. Zechariah chapter 12 in it’s entirety seems to describe the Gog Magog war, where many peoples rush against Israel seeking to destroy her. At this time, God upholds and delivers her. Instead of resulting in celebrations, however, it appears to result in mourning. How strange! Unless you consider that this is their partial blindness being lifted and their realization that they just missed the “gathering together of the saints” as described in Thessalonians. Could the passages in Zechariah 12 and Amos 8 connect these events in some way? This passage in Amos 8 certainly should be considered in the context of the Day of the Lord. ← September 2017 Prophecy Chat – What on Earth is Going On?? ?